Entering parenthood is just as big a change for dad as it is for mom. 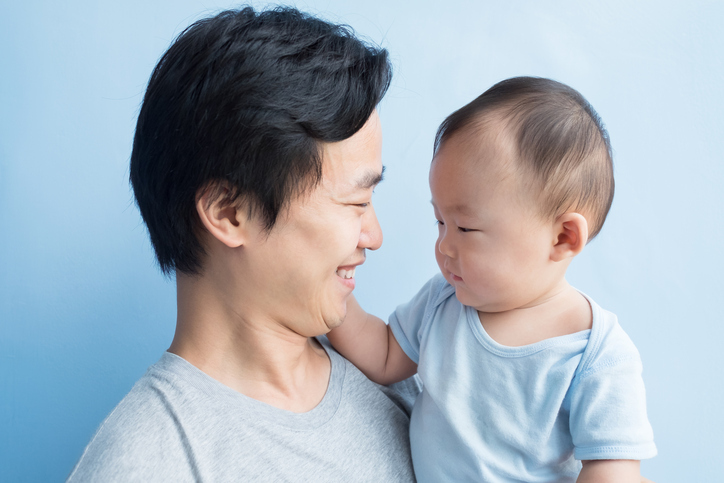 Though fatherhood doesn't involve experiencing pregnancy or the actual birthing process, you'll be there by your partner's side every step of the way. And, once the baby comes, you'll be up for those 2 a.m. diaper changes and bottle feedings as well. While you're likely to miss out on some sleep after becoming a father, there are some tricks new dads can take to capture a few extra Z's. For example, make sure your baby knows that the crib is for sleeping; try not to let naptime happen in too many miscellaneous spaces (that can get confusing for a little one). For many dads, the day to go back to work might come well before mom's. Driving away from home on your first day back the office will be challenging. Be sure you talk to your colleagues and HR department if you'll need to make any schedule changes to keep your work-life balance, well, balanced. Speaking of work, babies bring quite a few new bills! Between diapers, food and all the safety accessories for home and car, bringing a little bundle of joy home can get expensive, and fast. Be sure to keep a close eye on your baby budget. And don't forget to make room for the unexpected. It's now more important than ever. But between the baby, your job and your checkbook, don't forget about what brought your family together in the first place: the love between you and your partner. Make some room for romance in your growing family. How to Help Mom Get Back into Shape Who Stole My Woman? Being a Mom is a job of its own and we want to help you remember to treat yourself also! Mom365 has some helpful advice, tips, and knowledge to help you throughout the early years of Motherhood.